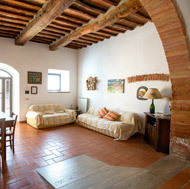 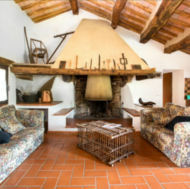 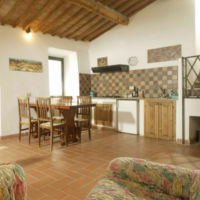 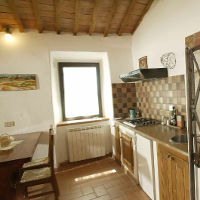 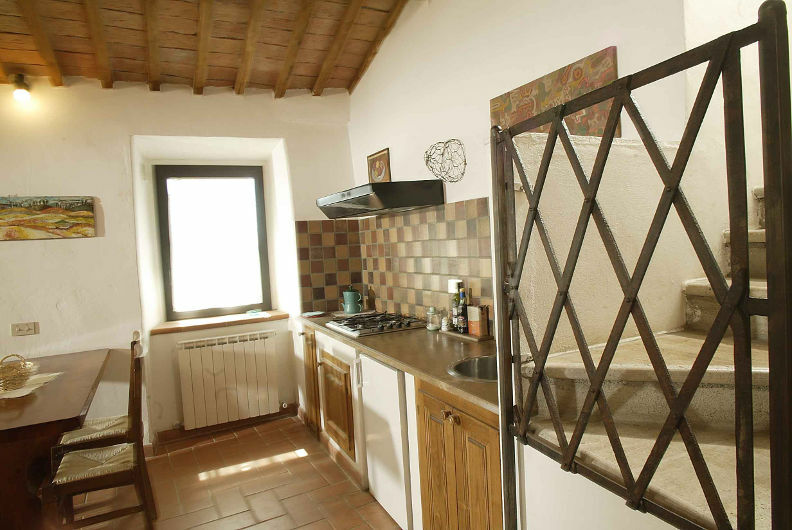 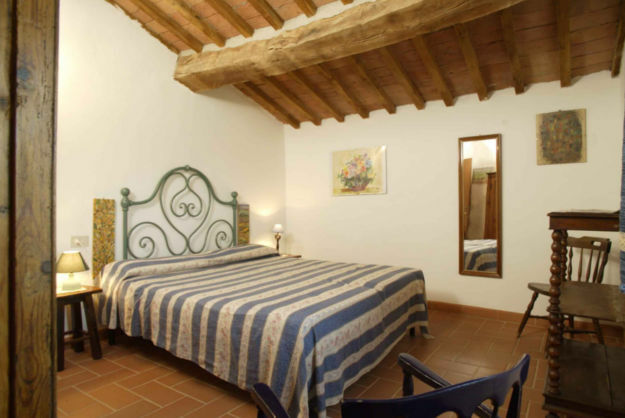 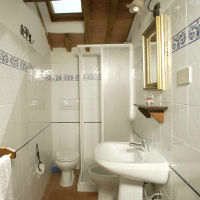 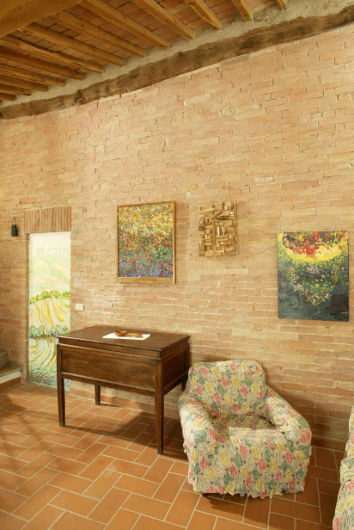 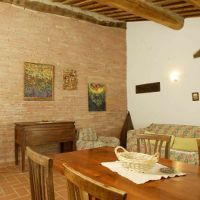 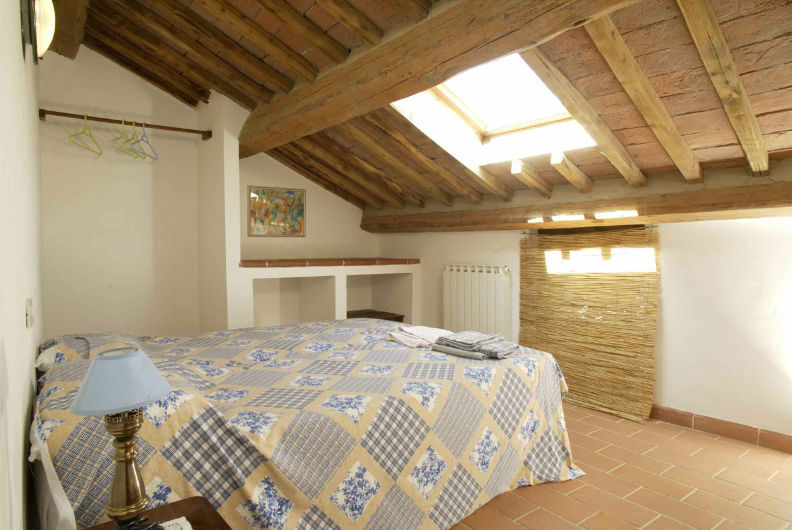 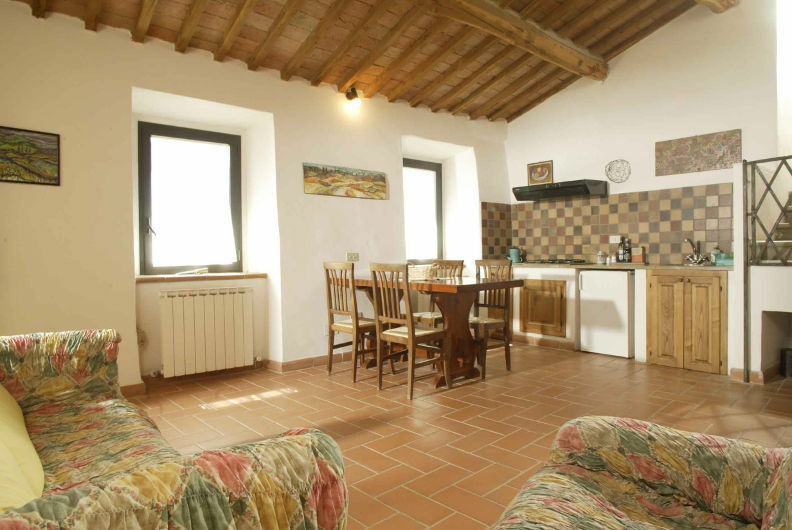 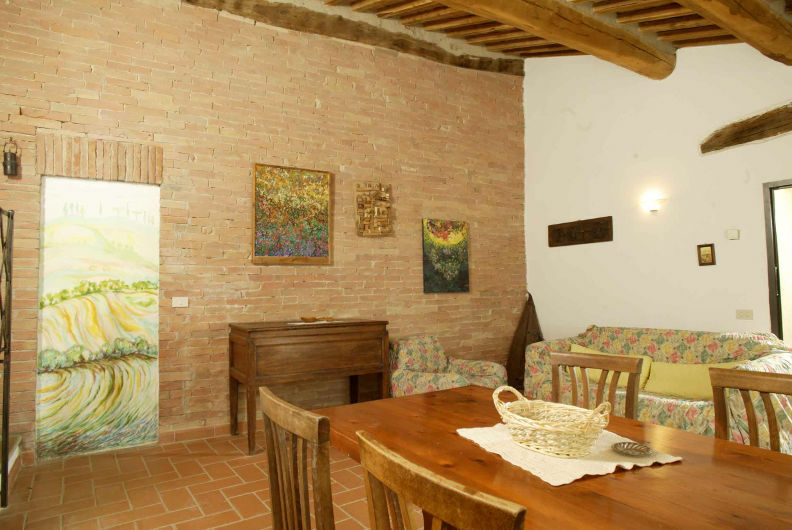 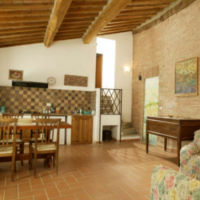 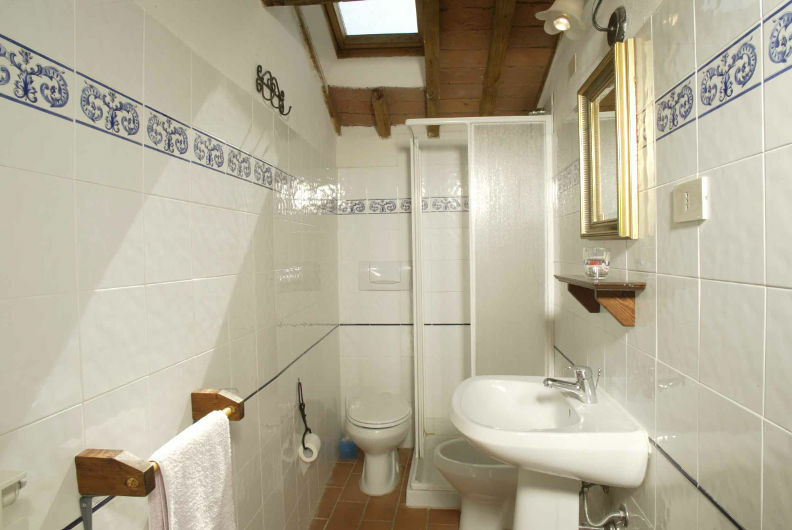 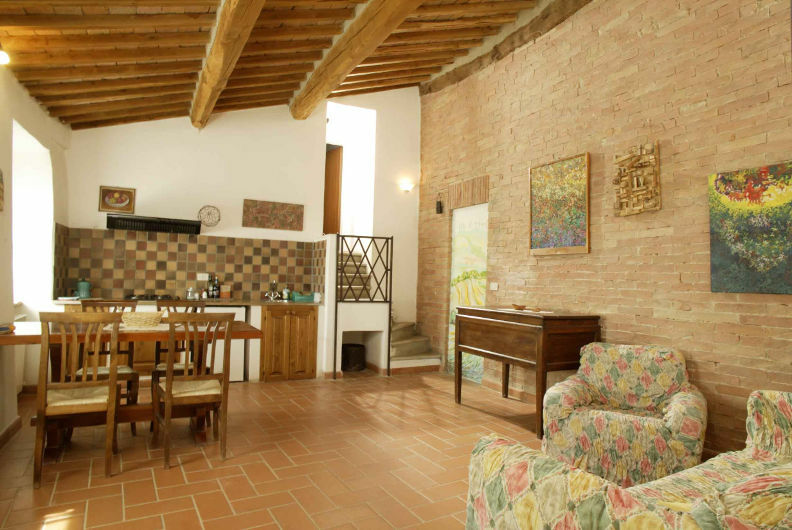 This apartment is situated on the first floor with main entrance from the loggia. 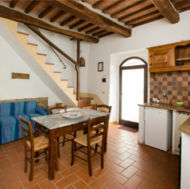 It is composed of a spacious dining/living room with a kitchen corner; a few steps lead to a small hallway with doors to the bathroom (with shower niche), to a double bedroom and to a twin-bedded mansard-roofed room. 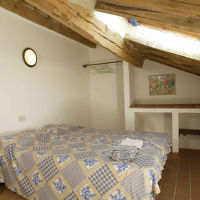 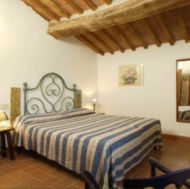 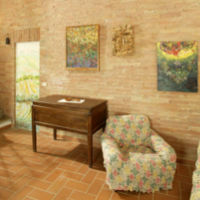 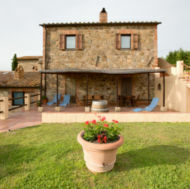 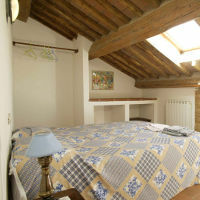 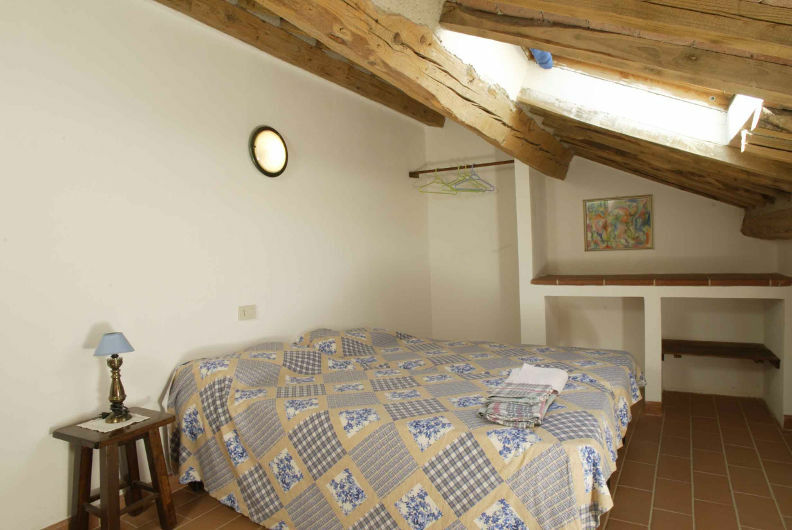 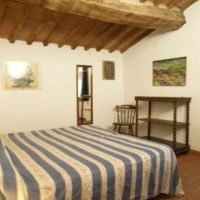 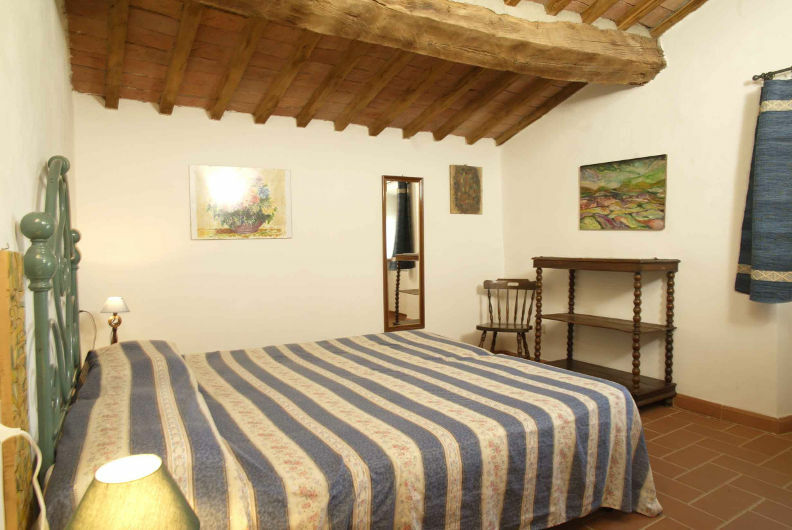 From the window of the double room you can enjoy a beautiful view of Montalcino.